At Flameko, diagnostic services for Audi models are on the same high level as at the dealer - the diagnostic equipment is in direct contact with the Audi factory. 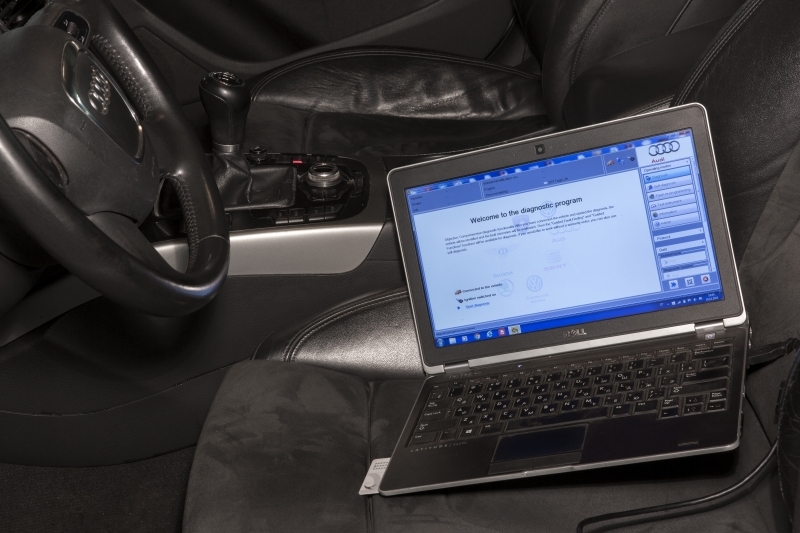 The diagnostic equipment gives us the exact same possibilities, information and software which dealers have. Your Audi will always get the best diagnostic services thanks to the most up-to-date info and software. Many problems will find solutions quickly and at low cost, because often the less costly software update solves the issue - instead of replacing spare parts. Similarly, we offer high level diagnostics for Volkswagen, Skoda and Seat models. We recommend diagnostics under the following circumstances. Other unnatural characteristics are evident. The car has been driven against the edge of the road or other obstacle at high speed. Our specialists truly have long-term experience in the diagnostics field and newest knowledge – you can be certain that at Flameko we will solve your car problems quickly and with quality.